Adding text in Kdenlive may prove a challenge to some people, especially when you also need it to fade in, starting from fully transparrent. This tutorial shows how to do both. 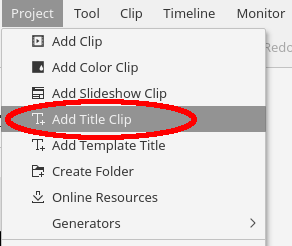 Adding text when editing in Kdenlive is done by adding a title clip. 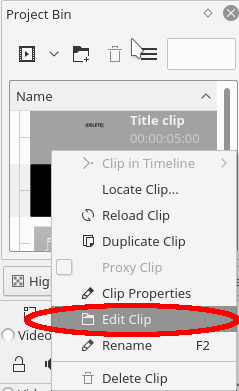 The option to add the clip is found in the Project menu. After adding the clip, you will be able to add effects and transitions. 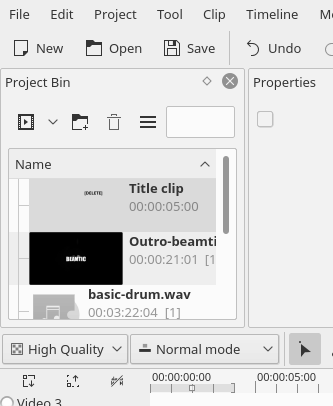 Simply drag and drop the Title clip from this Project Bin to the timeline. Changing the text in the clip will update it everywhere it is used in the timeline. 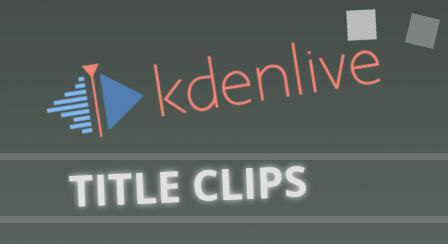 Tutorial on how to increase volume on clips in Kdenlive. Adding a gain effect to the audio clip and adjusting the slider will control the sound. Gaining sound clips may be necessary if the audio volume is to weak, or if you need it to match other audio. How to create an alpha fade in kdenlive for logos and watermarks, and even for video.